You couldn’t ask for a more convenient address. Condado is just a 10-minute drive from the airport (Luis Munoz Marin International), or even Old San Juan (where San Felipe del Morro is). It’s a favorite of tourists from all over, and the location isn’t the only reason. Condado sits just beyond Gran Ventana al Mar plaza, and the nicest section fronts the San Juan Marriot Resort & Stellaris Casino. Past the hotels, Condado just gets a little rougher. It’s hard to negotiate due to the ironshore outcrops, yet here you’ll find a natural protected pool. Take care in the water here. There are strong undertows and the shore break can be challenging. 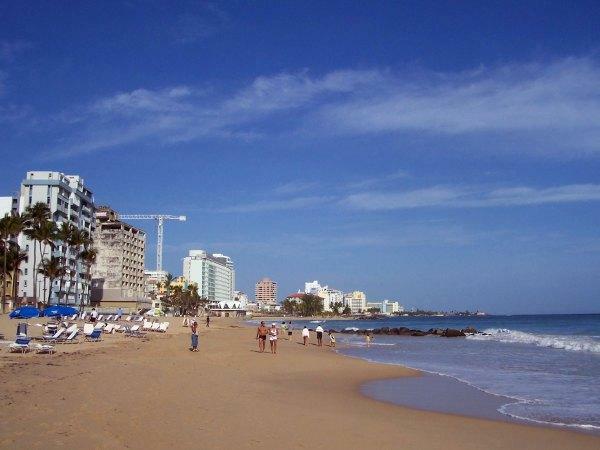 The reason we love Condado so much is because it is calm, and it feels like you’re in a neighborhood – much like Praia dos Ossos Beach in Buzios, Brazil. For example, Ashford Drive, the main street just south of the water, has a nice variety of cafes and restaurants. You’ll find your share of portoriqueno cuisine here. Want an even more “local” feel? Check out El Escambron, a Blue Flag Beach just a half-mile from here with fantastic views of the fortress in Old San Juan. We found Escambron really alive on the weekends, with the locals playing dominoes. 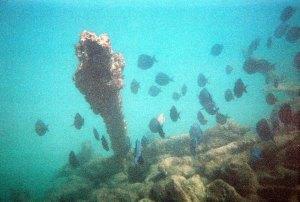 El Escambron has a great area for snorkel as well. Just east of Condado, there’s the beautiful curved Ocean Park Beach. This beach is two miles long – but because of the gated community here, it’s hard to find the entrance to the beach. Take the narrow walk at Park Boulevard and you’ll find Ocean Park Beach. It’s a fun beach to tan, but because of the tradewinds, the water is choppy making it perfect for kiteboarders.